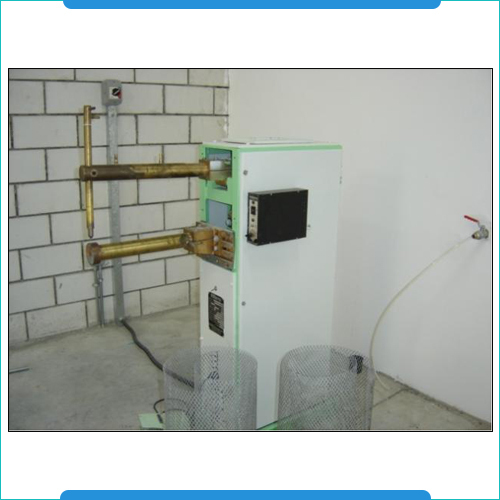 The spot welding machines find usage in varied spot welding applications and can be designed for high speed production jobs as well as meet specific metal fabrication demands. These precision designed spot welding machines feature use of heavy duty transformer of 10KVA. With power input of 440 V, 50 Hz and facility for 2/3phase operations, some of the other standard operational features of these machines include pneumatic foot pedal operations, thumbwheel setting for hold timing and current dwell timing, fitting for coolant circulation, copper electrodes, electrode arm length of 400mm and above all advanced technology based control panel for smooth and precision handling of above operations. 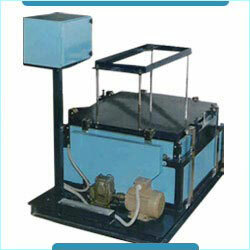 Vibration Test Benches are used for testing the components and assemblies for vibration resistance. These come with top filter clamping table of size 762 x 762 x 16 mm featuring four cam design vibration platforms that come with vibration amplitude of 6-25mm and vibration frequency of 200+10 rpm. Further, with the base mounted on strong fabricated channel, these are driven by 1hp geared motor and have in them facility to clamp GT filter and HEPA filter, have vibration counter, timer to set vibration periods as well as control panel options for ensuring smooth operations of these test benches. Top filter clamping table762 x 762 x 16 mm. Frequency of vibration 200+10 rpm. Base mounted on strong fabricated channel.